This museum is a jewel in McMinnville, Oregon. For history buffs, this is where Howard Hughes' Spruce Goose ended up. 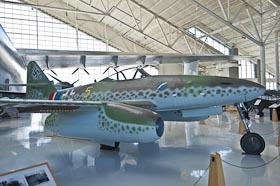 They also have a terrific collection of military and commercial from the beginning of flight to the present and a wing devoted to space exploration. 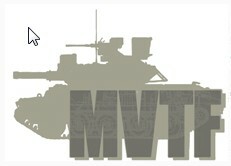 To quote from their website www.mvtf.org/, "Our goal is to acquire, restore, and interpret the historical significance of 20th and 21st century military vehicles." With a private collection of over 240 vehicles, they have done a good job of it. 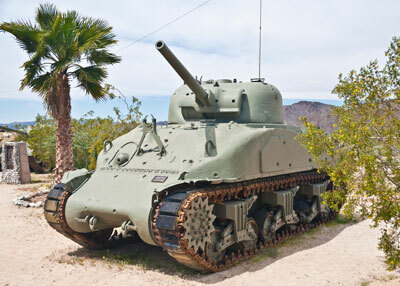 This museum is located near former location of the Desert Training Center headquarters in Southern California established in March 1942 to train American soldiers to fight in a desert environment similar to what they would later encounter in North Africa during WWII.